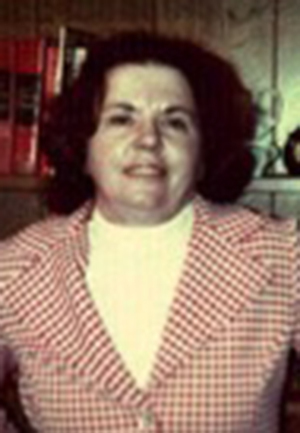 Obituary – Wurtz, Lenora June (Tefteller) « Perry High School Alumni Association, Inc.
A memorial service for family and friends of Lenora June Wurtz, 74, of Issaquah, Washington, formerly of Perry, Oklahoma, will be held at 11 A.M. Saturday, September 2, 2000 at the lower pavilion at CCC Lake in Perry. In case of inclement weather the memorial service will be held at the First Baptist Church of Perry. There will be a private internment at Grace Hill Cemetery. Mrs. Wurtz died of heart failure on Monday, July 31, 2000. She formerly lived in New York City and Joplin, Missouri. Mrs. Wurtz was born on April 11, 1926, in Oklahoma City, Oklahoma, the daughter of Horace and Harriet Tefteller and the granddaughter of F.M. and Ila Van Bebber, pioneers of the Cherokee Strip. She graduated from Perry High School in 1943 where she was football queen that year, and a member of the school marching band. Mrs. Wurtz attended Oklahoma A&M University. She was an active member of the Presbyterian Church and volunteered in numerous youth groups. Mrs. Wurtz is survived by her daughter, Sandra Sue Wurtz, of Alexandria, Virginia; her son William Wurtz, of Issaquah; an uncle, Earl Van Bebber, of Tracy, California; cousins, Joan Bamberger, of Reno, Nevada; Wynona Passow and Gene Van Bebber, both of Perry; Karen Bode, of Orlando, Oklahoma; Charles Van Bebber, of Frisco, Texas; Vern Van Bebber, of Chandler, Oklahoma; Richard Van Bebber, of Stockton, California; Jack Van Bebber, of Pacific Grove, California; Earl Schallenberg, of Plano, Texas; and Van Schallenberg, of Oklahoma City, Oklahoma. William Wurtz Sr., her former husband, lives in Joplin, Missouri. Arrangements are under the direction of Flintoft’s Issaquah Funeral Home.